I-25 Exit 128; Very visible from the exit, easy access, even large fuel trucks and trailers make the easy curve into this location! 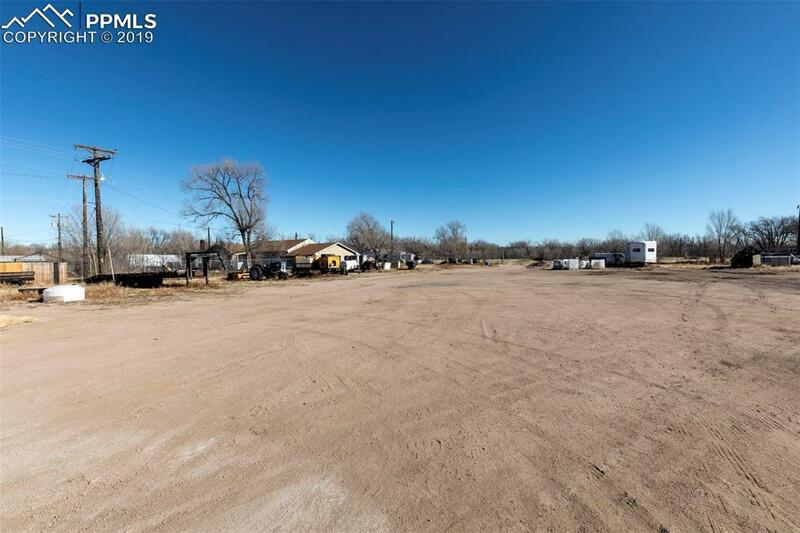 Almost full 5 acres with chain link fence around the perimeter. Many uses are possible, it has been used for display and sale of heavy equipment, a lot for rental of equipment, a used car lot, a garage and repair shop. 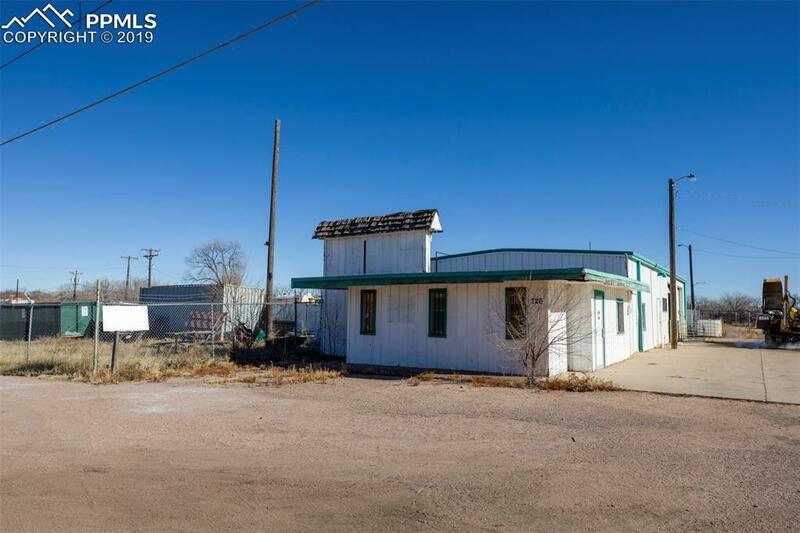 The City of Fountain would love a box store or a large motel (which would be a perfect fit)with a location like this just about anything would be a success. shop with 3 large bay doors, a parts counter, rest room. Research and phase one of the Environmental study is completed. 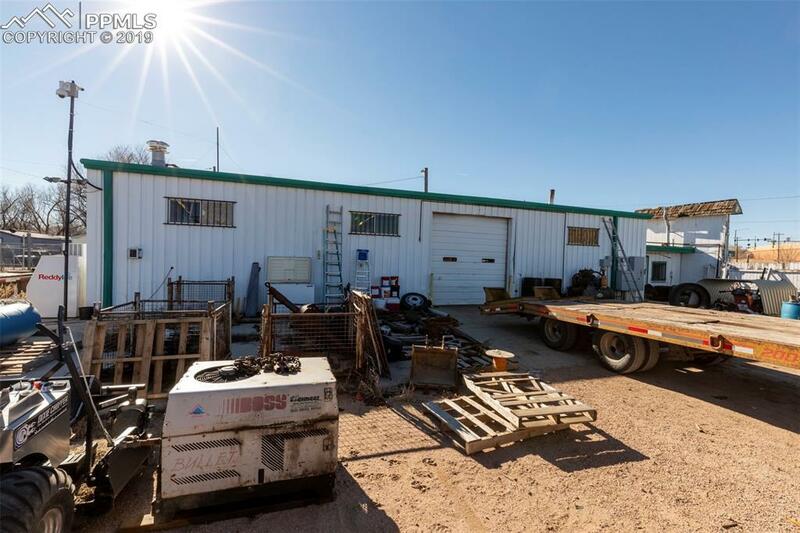 5 acres has a fence separating the front two acres with the shop from the back two acres. 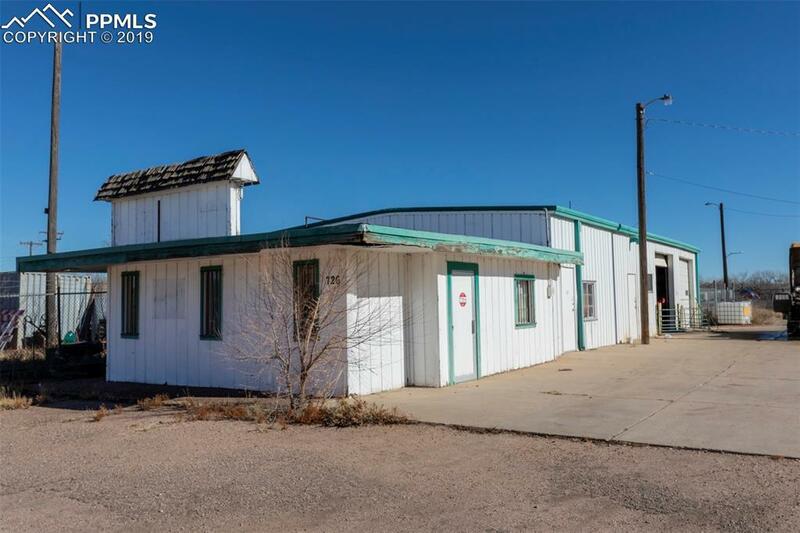 There is City Utilities to the Property, and an extra water and sewer tap from an old house could still be functional for additional building. Right of way on the South the full length. Dimensions are Front along Santa Fe Avenue = 276 feet, North side is 765 feet, East side back at the railroad tracks is 276 feet, and the south side along the right of way is 787 feet. Listing provided courtesy of Snare Realty.